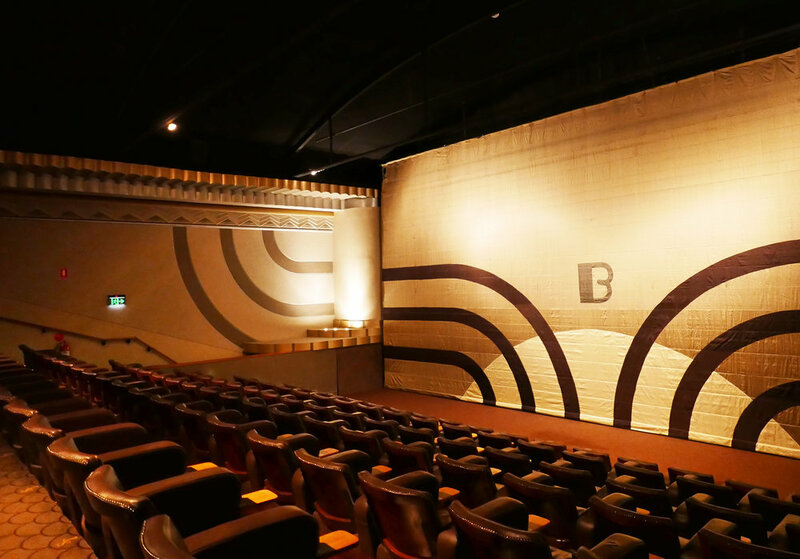 The Sun Theatre is a love letter to the golden age of cinema — a 1930s relic, tenderly restored using recycled and replica materials. It’s also the centre of a revived Yarraville, just a short train trip or drive west. It’s an accessible cinema with loads of character. Yarraville was ‘happening’ in the 1930s — as it is now. The Yarraville Mouth Organ Band started in 1933 (and is still running); Yarraville won the VFL in 1935; and the Sun opened in 1938, to the delight of locals. But Yarraville declined as the century progressed — patronage at the Sun dwindled with the introduction of TV, and the theatre closed in 1982. It sat derelict for 20 years before its current owners began an exhaustive project — preserving, reviving and reproducing everything from plaster ceiling moulds to upholstery and light fittings. 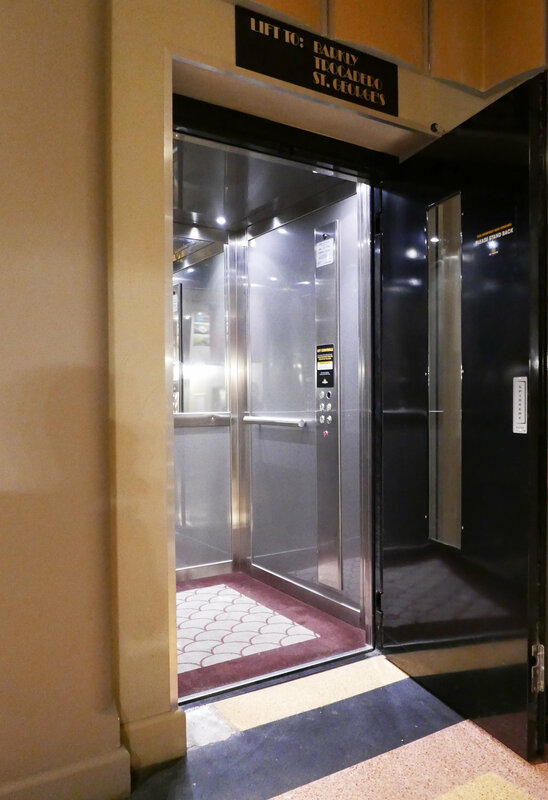 Upgrades have retained heritage features while providing better accessibility. The seats are ‘club-style’ leather chairs, or in some cases couches, with shared small tables so transfer if possible for the best experience. 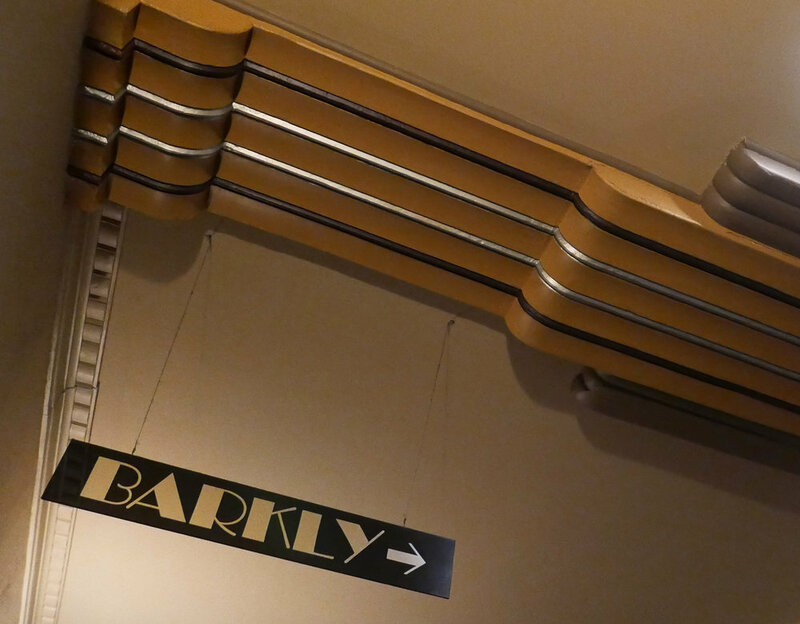 The original 1055-seat auditorium is now four separate cinemas, each a charming reminder of a time when watching a movie was something really special. There are also four new, deco-style cinemas attached at the rear. Entry to the eight-theatre complex is easiest via the doors furthest to the right, and there is an accessible toilet in the left corner of the foyer. A ramp (or step lift) invites visitors from the foyer into the screening areas, and a small three-person lift provides access to the various first-floor cinemas. 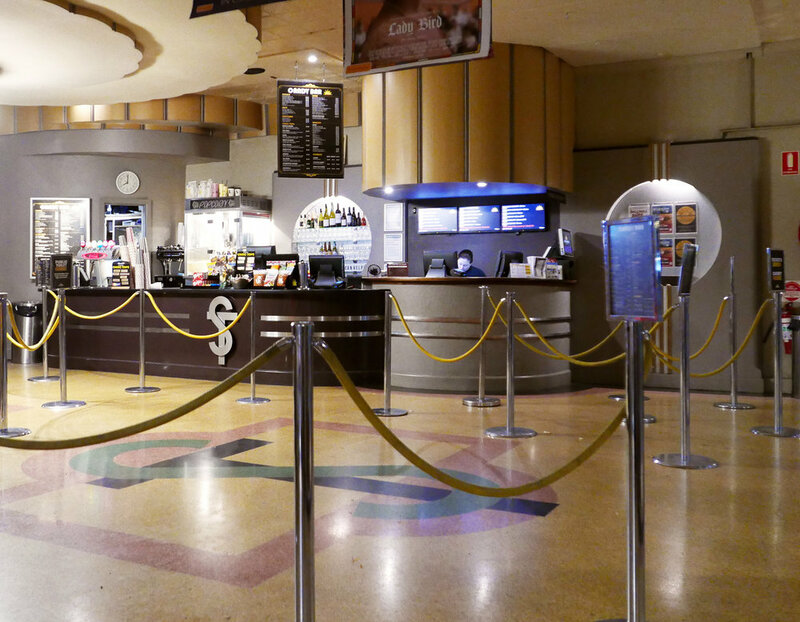 The four main cinemas (The Grand, The Barkly, Trocadero and Lyric) have good accessibility. They ingeniously incorporate ‘house chairs’ – removable seats identical to their neighbours – that can be shifted out to allow for wheelchairs. The Sun’s titles and programs are wide and varied and include mainstream Hollywood releases, select foreign films and independent offerings. There are also special programs, short films and kids’ sessions. Choctops and popcorn are available and you can take your wine into the cinemas. 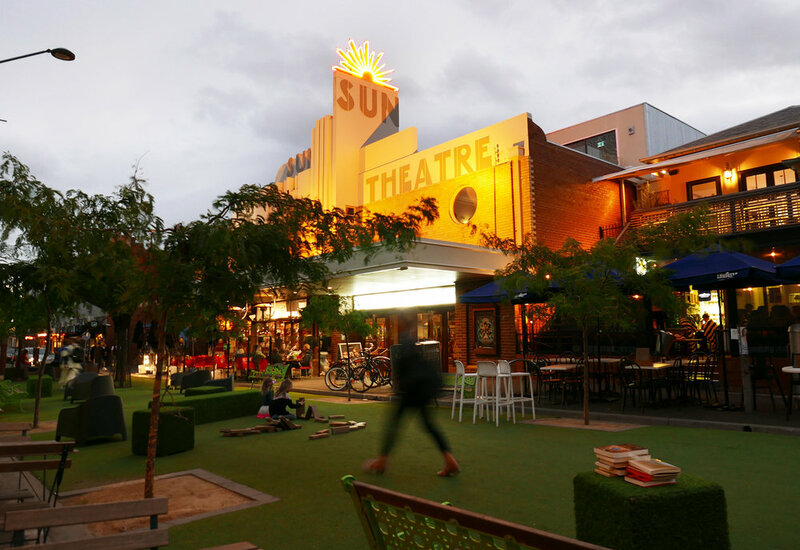 After your film, check out the pop-up park gone permanent out the front. With synthetic grass, funky street furniture and an oversized Jenga game, it’s an accessible space perfect for cinematic debriefing over coffee or wine. 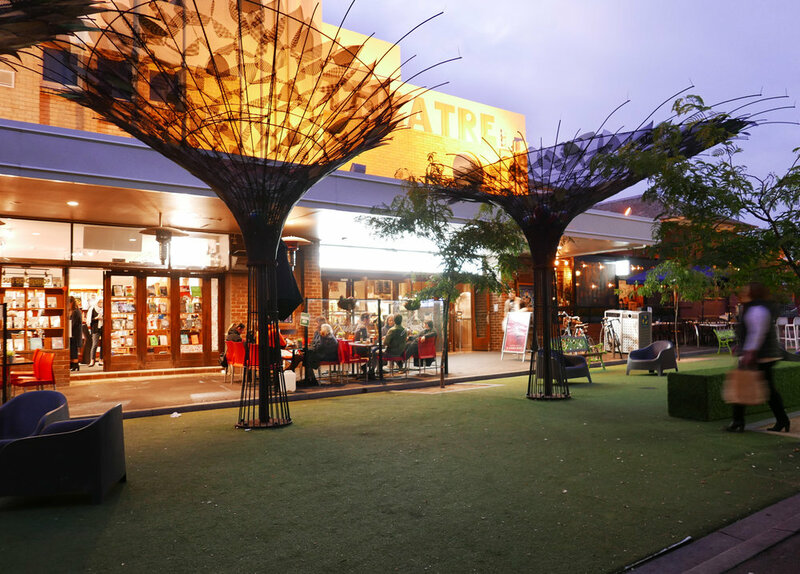 The Sun Theatre is open Daily except Christmas day and ANZAC day, see the website for details.